And finally, on October 12, I knew that I would see Gangelt again. After such a long time, I was more than prepared to see new impressions and to undergo new adventures. AH WELL, it started already with the train in Leuven to Liège: a delay of 13 minutes. And I thought, OK there goes my Thalys to Aachen without me, but then there was the announcement that the delay was due to construction works on the way between Aalst and Brussels. And so, I gambled that if my train to Liège was suffering of this, the Thalys would have the same probem. And yes, when I asked the train controller about my problem, she convinced me that the Thalys was also later and that this train has to stay behind us before reaching Liège. And so, I could start to relax and dream about the wonderful breakfast that Bea was going to prepare for me. And let me keep it very short: all my dreams came true!!! Frankly said, I wish that every day, I could have a breakfast like this one. 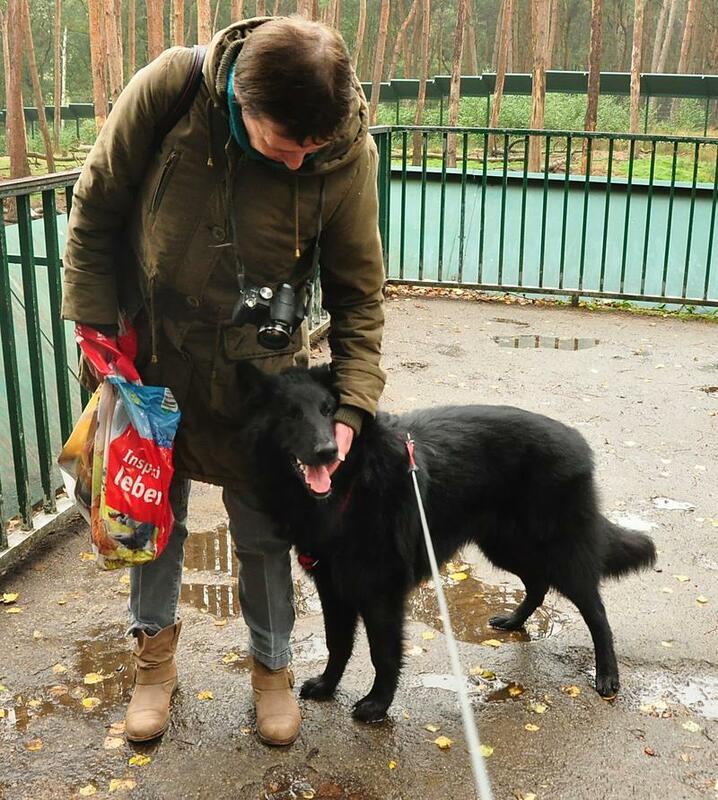 But then, it was time to go to Gangelt and BIG SURPRISE: I learned that Gitta was able to make it there for a walk with us and ….. with Lano!!! For those who are not knowing it and for those who do know it: Lano is Gitta’s new best friend. 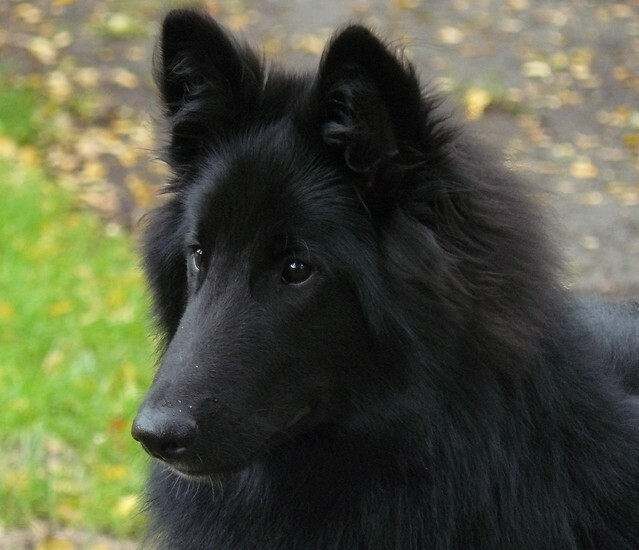 Na ja, maybe now that I am a bit chauvinistic but Lano is a Belgian dog and véééééry pretty. Na ja, Ok, we continue with the story. 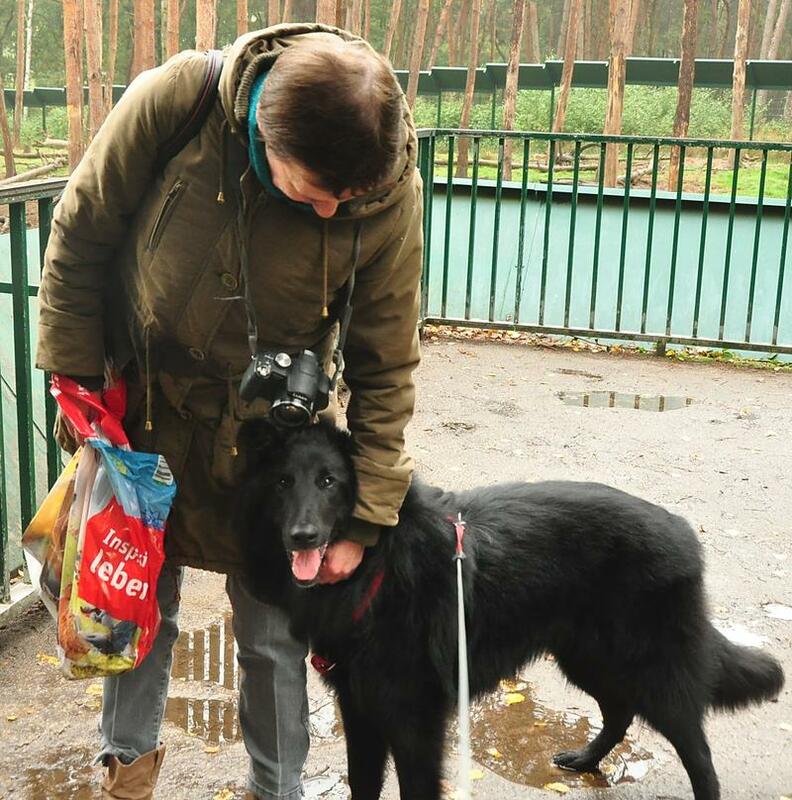 When we arrived in Gangelt, Bea was able to let all her small coins fall on the ground. But since there was little to no chance that they would grow, she had to pick them up again (and believe me, this was only the start). 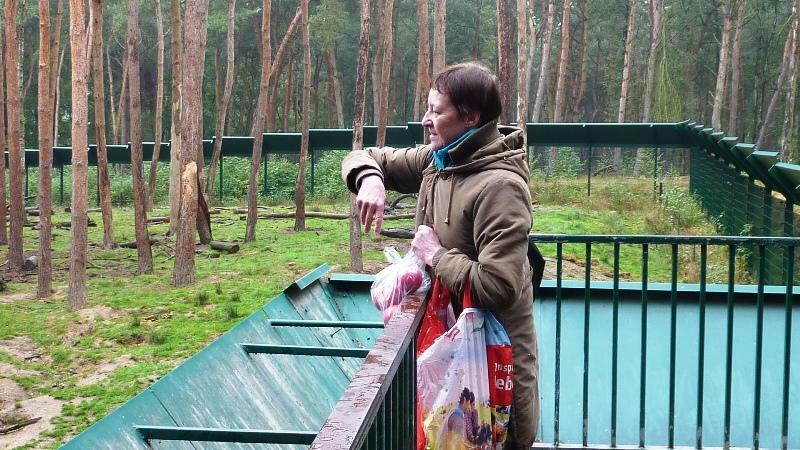 Then she bought three sacks of goodies for the animals (for those, who do not know it: in Gangelt, you are allowed to give certain food to the animals). 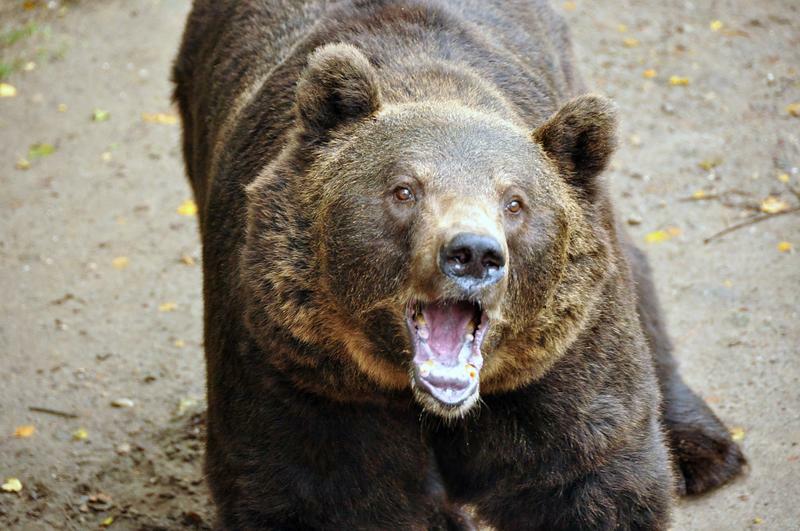 She also had already taken apples and bread with for the bears, that were immediately put in my sack. And then, I let fall all three sacks on the ground and we both knew: our day is going to be very successful! And the weather gods were smiling to us: although the day started rather foggy, it remained dry and even sunny for the rest of the day. 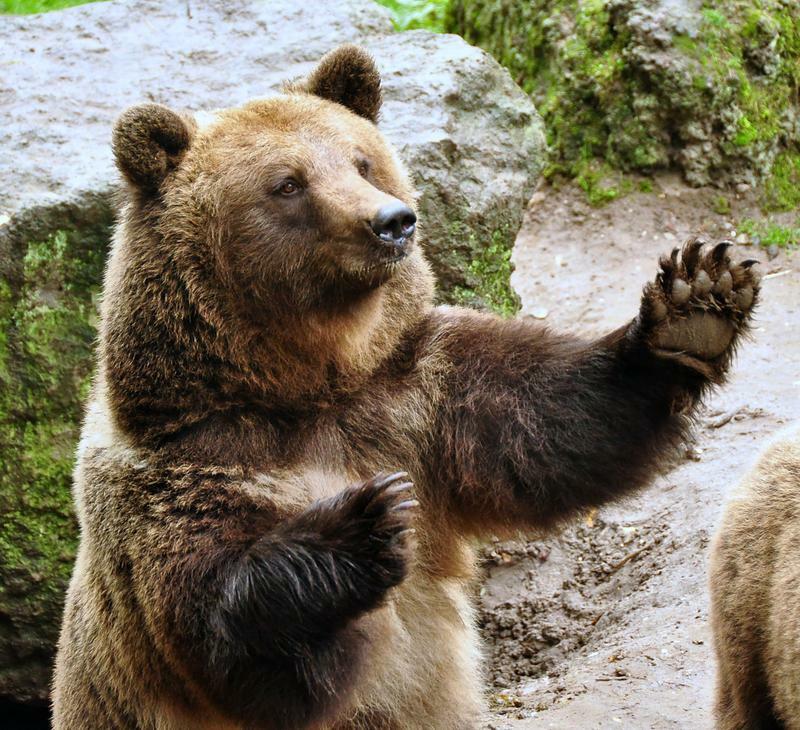 And so, straight to the brown bears, who were apparently already waiting for some goodies. Ah, well, since I did the “feeding”, there are no pics of that event. I have to say a very important thing here: when you arrive with goodies, of course, they are begging for them, but I noticed that later when we came with empty hands, it was also OK for them. They were watching us like we were watching them and there was no stress at all. Both females are very pretty and they still have that lighter scarf in their fur. 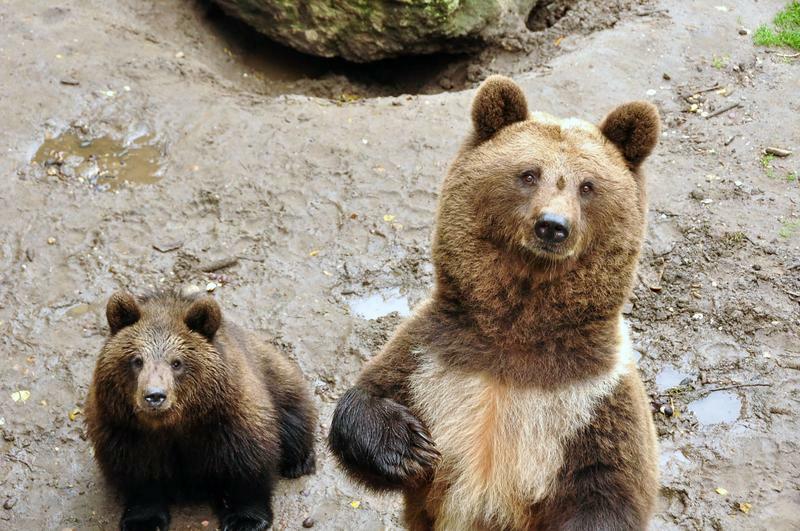 The new enclosure of the bears is now double the size of the old one, but in a natural and pleasant manner. I really like it. And this goes actually for all enclosures. You never have the feeling that the animals are “locked up” but rather freely walking around. One of the wisents was very interested in Lano and vice versa. 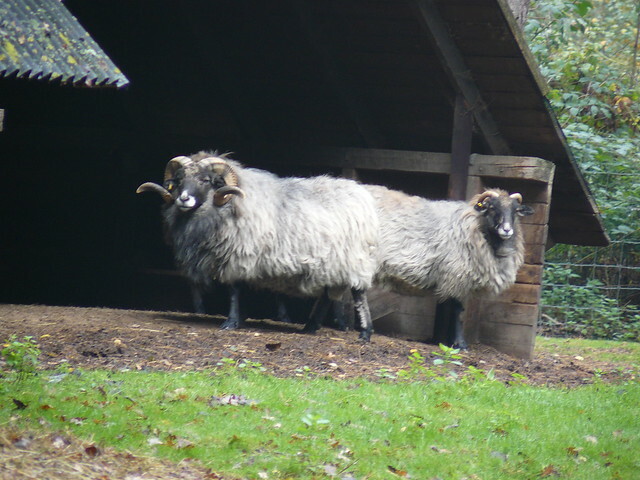 When we passed by the heath sheeps, two of them were standing in such a funny way as if they formed one single animal and I could not resist of talking a pic of them. And then, we continued our walking way. I must admit that this time, a lot of the animals were no longer outside, but nevertheless, it was such a joy to just walk around there and undergo the peace of Fall in a forest. This time, there were no little wild boars, but only adults or youngsters. 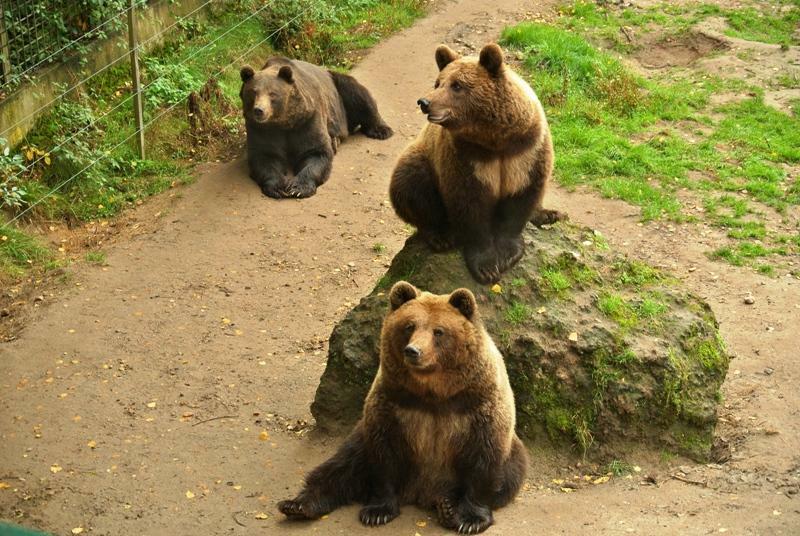 But nevertheless, they were all very interested in the food we brought. 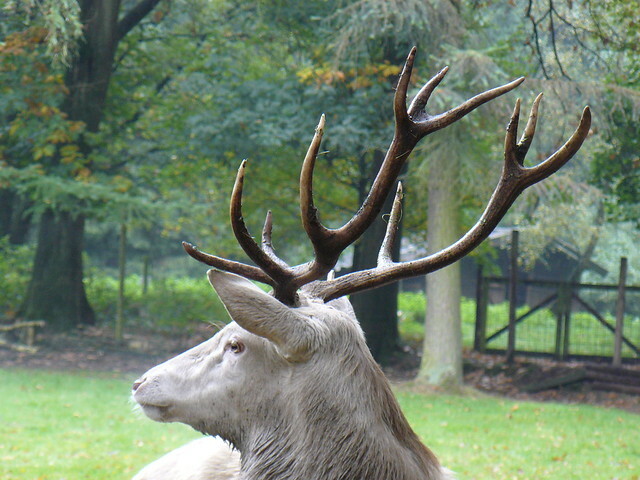 When we passed the enclosure of the white red deer, one of the males was very busy and calling the females. And I think that at the end of the day, he must have a very sour throat of calling them all day long. And I must say that these animals are very fascinating. Although the fur of the adult males is a tad darker (more grayish), females and young ones really do have a white fur and when you see them walking around in the enclosure, you have the feeling of being part of an old Medieval fairy tale and you are expecting that the unicorn will appear. We also saw the male wild cat and according to some rumours, there is a chance that the female is having kittens and therefore hidden. But I was really amazed by the bright eyes of the male. Unfortunately, when I tried to make a pic of it, he always closed his eyes. And also, we were lucky to see the lynx who was observing the visitors. In the children Zoo, the little goats are more than lovely and sweet and touching them is just a dream. Their fur is feeling so soft and silky. The first time when I went to Gangelt was in May 2009 (or so) and now the second time was in October 2013, but one thing is for sure, I must go back there because simply walking around is already just a pleasure. And now, a funny anecdote to end this report: when we returned to Bea’s home, she started to prepare dinner. Well, all of a sudden it started, one thing after the other was dropped on the ground and you might remember that Bea is kind of a magician for such things. When I asked her: what is wrong with you today? Her reply was: nothing, this is normal daily stuff of dropping things, except that normally, there is nobody commenting on that!!! Then I realized that it was better to look into the other direction and keep my big mouth shut, because I was pretty hungry and the food smelled soo good. But believe me or not, I kept a good eye on the cola bottle, and strange but true, that one did not fall this time. Thank you so much for this fantastic report. The most impressif pic for me is the sheep with six legs and two heads. It was great to meet you again and I really hope it will not be so many years to see you next time. Lano blows his kisses to you. He really enjoyed being caressed by you. It was a great time with you in Gangelt. I enjoyed it very much. 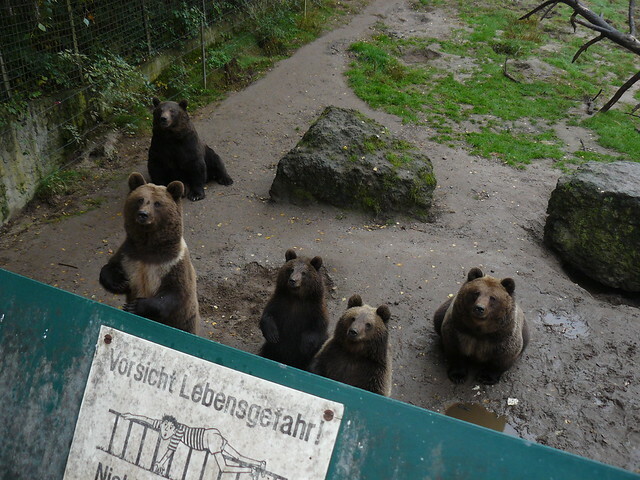 No chance for Gitta and me to get only one single apple or a sclice of bread to feed the bears. Dear Bea and Gitta, thank you for the extra photos. Hope you will not mind if I save them on my external disk. And yes, I promise to come back sooner and not to let three years go over this visit. And if it were not for your lovely company, Lano and Gangelt, than at least for the great breakfast and delicious dinner (hihihihi). But after all, a walk in Gangelt is sometimes what the soul and the body needs. ganz herzlichen Dank für diesen wunderbaren Bericht aus Gangelt. Deine Fotos sind wunderschön. Natürlich gefallen mir die Bären ganz besonders gut. Aber auch die anderen Tiere sehen herrlich aus. 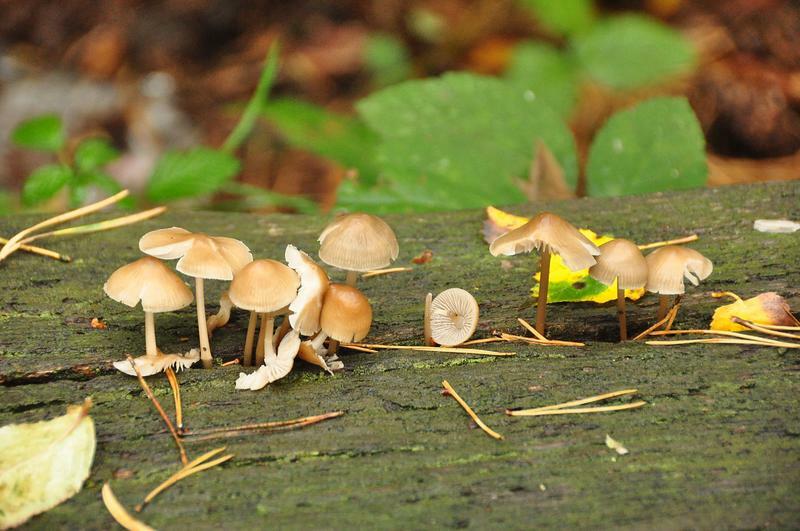 Die weißen Hirsche sind märchenhaft und das große Damwildrudel ist beeindruckend. Wie gut, dass du trotz der Zugverspätung rechtzeitig zu Bea´s Frühstück gekommen bist. Ein gutes Frühstück in lieber Gesellschaft ist immer ein toller Einstieg in einen schönen Tag . Über eure kleinen Missgeschicke habe ich geschmunzelt. Next time we'll have breakfast in Lanoweiler. Then you can play with your new friend in the garden. dir sind wunderschöne Aufnahmen von den Bären gelungen! Es war sicher ein unvergessliches Erlebnis für dich! das ist ja toll, dass Du in so netter Begleitung in Gangelt warst. Und Lano hast Du auch kennengelernt. Die Fotos sind klasse. Die Bären sehen alle gut aus. Das erste Bild, wo sie alle hochgucken ist so niedlich. Danke für`s Zeigen. Ich muss gestehen, dass ich erst einmal nur die Fotos geguckt habe. Deine Zeilen lese ich später. Das ist immer etwas umständlich mit dem Translater. Das muss ich in Ruhe machen. toll, dass Du mit Gitta, Bea und Lano so einen schönen Spaziergang in Gangelt machen konntest. 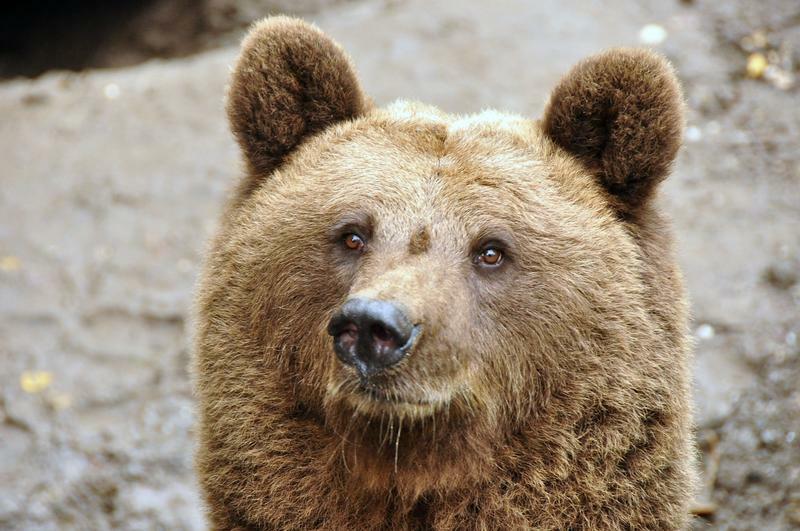 thanks a lot for sharing your wonderful pics with us The brown bears are so sweet aren't they? 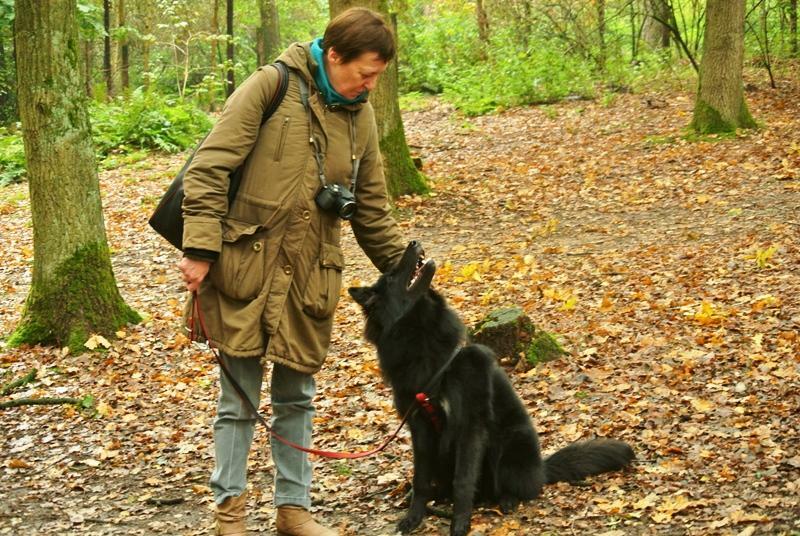 I'm very glad you enjoyed your visit in Gangelt with Gitta, Bea and our beloved "black Beauty"